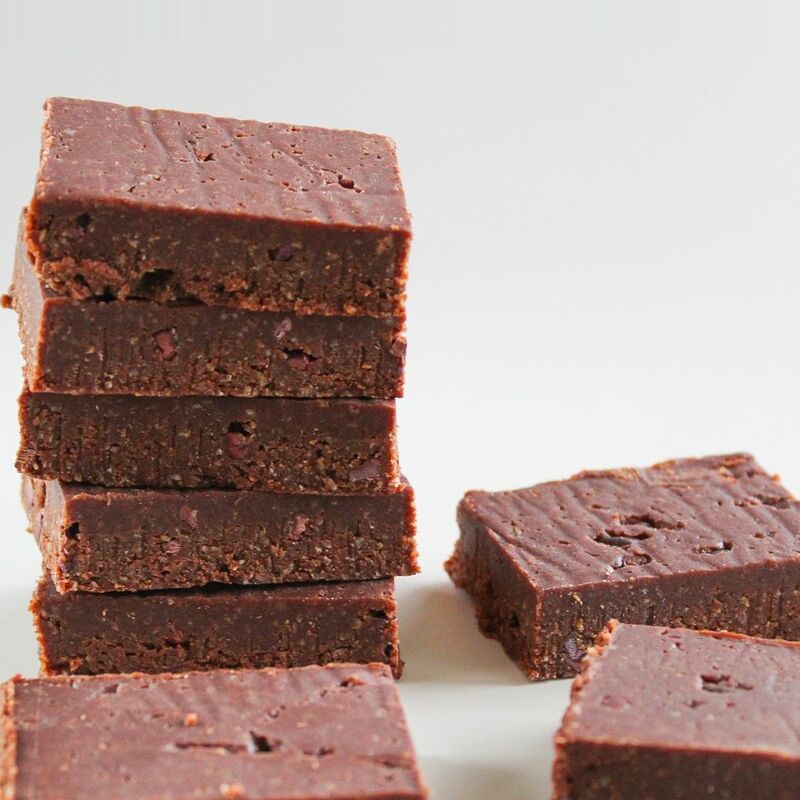 This no-bake version of chocolate brownies is the perfect gluten free, refined sugar free, low FODMAP and vegan option! Perfectly fudgy with a rich chocolate flavour, a deliciously indulgent treat. If you love peanut butter then these are the one for you! 6 x No-Bake Peanut Butter Fudge Brownies. Per brownie: kcal: 222, fat: 14.5g, protein: 6.4g, carbohydrates: 17.5g.